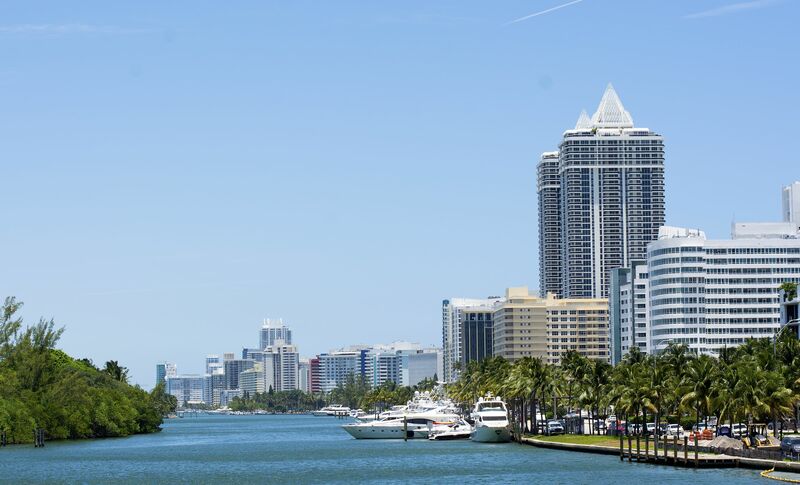 Located midway between Miami and Ft. Lauderdale and adjacent to the Golden Glades Interchange where I-95, Florida's Turnpike, and the Palmetto Expressway meet, North Miami Beach is truly at the "Crossroads of South Florida". The central location and easy access has made North Miami Beach one of South Florida's best known regional shopping areas and one of its most popular sites for office users. Shoppers and commuters find they can reach North Miami Beach from virtually all of South Florida in less than 30 minutes. However, North Miami Beach isn't all business. Prospective homeowners can find everything from cozy starter homes to elegant waterfront properties. Condominiums and rental apartments in an array of convenient and attractive locations are also available. Parks, beaches, and bays abound, along with a wide assortment of recreational, cultural, and dining opportunities.